"I don’t know if the government will change this time, maybe not. BN is too strong lah... or they might cheat. Nevertheless, let’s do our part." 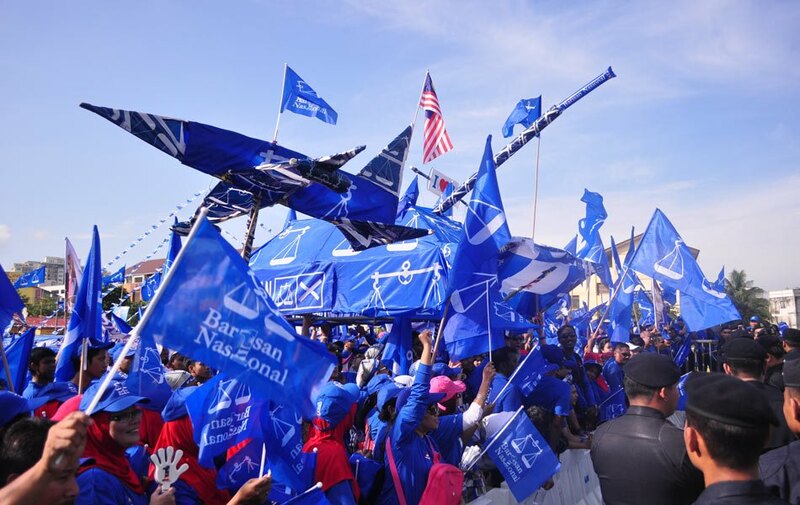 Barisan Nasional (BN) has been the ruling party since Malaysia gained its independence in 1957. The rakyat trusted them for decades and thought that this party is impossible to be overthrown. My parents (both teachers) were strong BN supporters once. My mum always said, "They are the hands that feed us, so we must not betray." She was also afraid to vote for the opposition because she always thought BN will know who she voted for. I still don't know if that is possible, but as a government servant, my mum had her own concerns. That night, many Malaysians hoped and prayed for a change... but we were defeated by the arrogant BN coalition. I still remember my friends switching their FB profile pictures to a black screen and wrote, "It's a black day for Malaysia." I did the same. Then I asked my husband, "When will we ever see a new dawn?" Hubby answered, "They won't last long, we came close today. Let's wait for the next election." In the years that followed, things did not get better for Malaysia. From the economy to education policies and you know what else (hint: pink diamond), we had them all. We were losing the very essence of being a Malaysian. The only things I'm proud about Malaysia were our different types of delicious food and amazing holiday destinations. Oh, and of course, when we all came together to sing our national anthem for major sports events; at least we got to feel proud for a few minutes. Other than that, I wasn't very interested to read about politics because it was the same "shiizzz" time and time again. The semangat patriotik was long gone and I even told me husband that we should probably think of moving to another country. "MALAYSIA is our home, NO country is greater than ours." 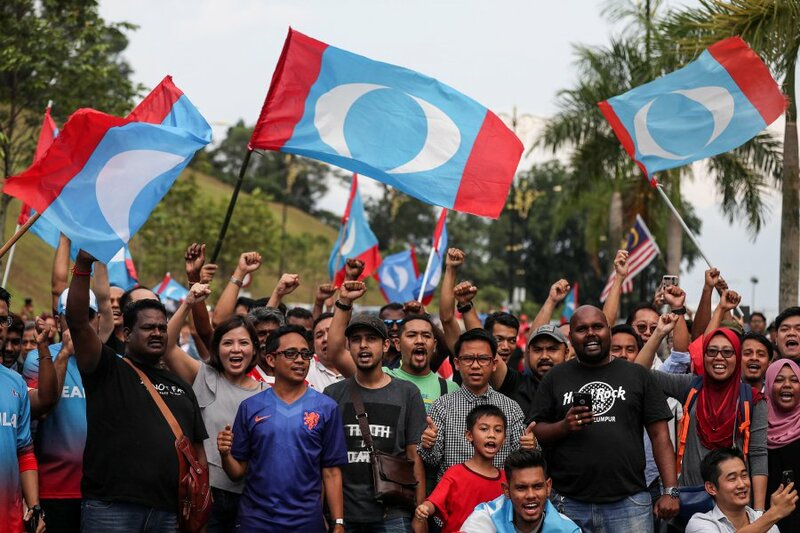 Supporters of former Malaysian Prime Minister Tun Dr Mahathir Mohamad shout slogans and wave flags in front of the Istana Negara in Kuala Lumpur on 10 May. Joy, pride, love, respect, unity, patience, truth, and perseverance emerged victorious and bravely defeated greed, evil, filth, immorality, fraud, and many other synonyms that relate to the former Prime Minister (and his allies). It was the new dawn we Malaysians have waited and yearned for for the longest time. All our prayers, hard work, determination, courage, and persistence were answered in the wee hours of 10 May 2018. We, the nation came together wholeheartedly this time. No race cards used, just a simple term - "I am Malaysian." We exercised our rights successfully and God showed us that good will (forever) win over evil, truth will always prevail, and UNITY is what Malaysia is all about. We are once again a great nation! 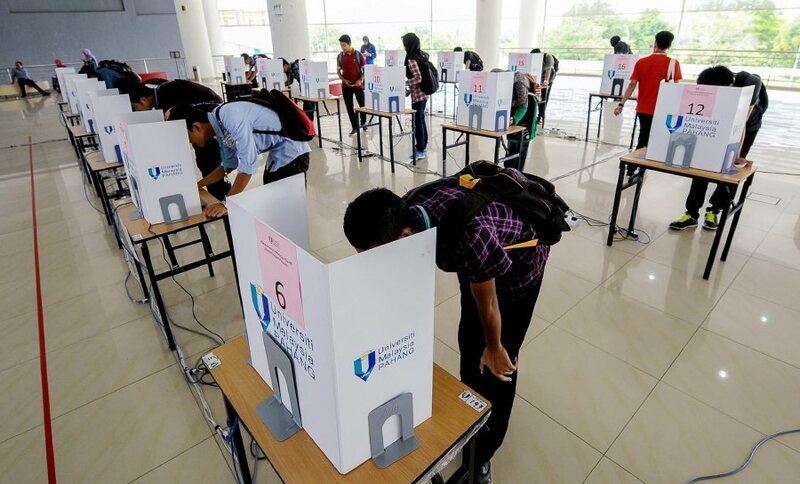 Salam Reformasi, fellow Malaysians. Let’s rejoice in the new elected government that we have. We are indeed blessed. Oh, and tell the world that you’re a MALAYSIAN! He will be giving a brief talk tonight to supporters at Padang Timur Amcorp Mall Petaling Jaya. Khairy On BN's GE14 Defeat: "We Became Delusional"
The former youth and sports minister said that it might be time to re-structure UMNO. The answer to your burning question is here. Educator on weekdays. Blogger over the weekend. Love all things dogs, fashion, makeup, and MALAYSIA.